Make healthy eating part of your habits in the New Year. Most of us have predictable New Year’s resolutions – join a gym, get more organized, lose weight, eat healthier, and save more money. While these resolutions are noble and entirely achievable, a lot of us fail to keep up with them all year long. Fortunately, adopting one simple habit – eating better – can help you to do all of those resolutions in one form or another. Check out these four ways you can eat better starting in 2018. Aim to increase the amount of whole foods in your diet. Processed foods are foods that have been taken so far from their natural state that they aren’t as nutritious for us, and therefore, not as filling. Whole food is minimally processed and free of preservatives and additives. Eating plant-based whole foods can also reduce a person’s risk of chronic diseases like diabetes, cancer, and heart disease. It’s easy to rely on frozen meals every night if you’re unprepared. The best way to stay on track with healthy eating is to plan weekly meals ahead of time. Spend a few minutes on the weekend to make a list of meal ideas and start prepping, if possible. Ensure that you incorporate fruits and vegetables into your meals every day. Not only will you become more organized but you’ll save money by skipping ready-made meals and take out. If you’re eating the same meal every night, it’ll be awfully tempting to splurge on an indulgent (and unhealthy) meal. Instead, mix it up every day, and make sure you’re not eating the same vegetables night after night. 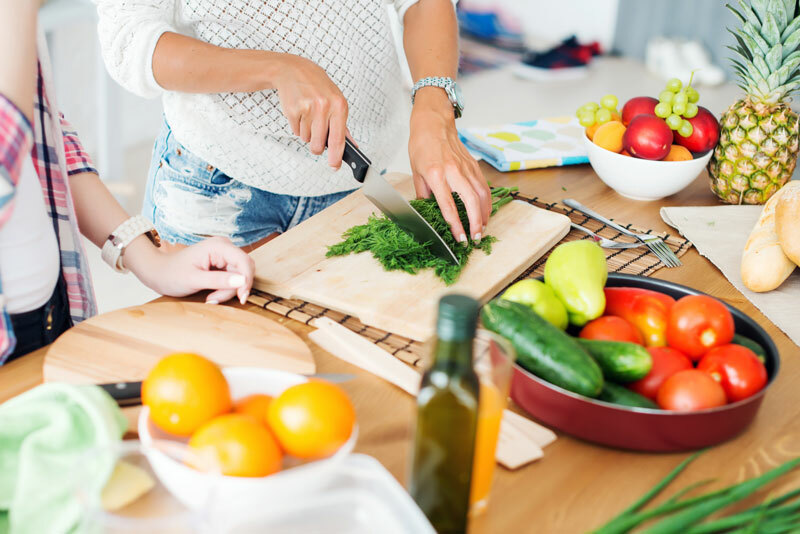 This practice helps to keep meals interesting and help you stay motivated to eat well, as well as supplying you with a broad range of nutrients. Believe it or not, but you don’t have to give up your favorite foods when you move towards healthier eating. Instead of buying a store-made smoothie, whip your own up at home with vegetables, non-dairy milk, and a handful of frozen fruit. Instead of drinking soda, sip on lemon water. Instead of getting a beef burger, opt for a tofu or mushroom burger. Simple switches are often all it takes to make healthy eating become part of your lifestyle. Making these small changes will make a large impact to your wallet and waistline! So that you can focus on your health and wellbeing, let the professionals take care of your insurance needs. Contact Gee Schussler Insurance Agency, serving residents in Orland Park and neighboring cities in Illinois with the right and reliable coverage!